A man’s bottom lip was bitten off in an horrific attack during “utter mayhem” outside a nightclub. 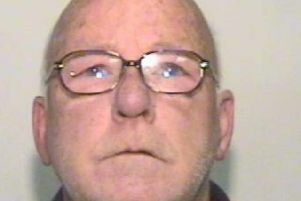 His attacker Damien Eccles, who also bit another man and kicked and punched women, was jailed for 11 years by a judge who had watched graphic CCTV footage of the incident in Wigan town centre. “There is too much violence on our inner city streets at night outside licensed premises and this is yet again a further example and for Jason Knowles it had a very dramatic impact,” said Judge Robert Trevor-Jones. He said that Mr Knowles had been left in agony after Eccles tore off his “entire lower lip” exposing this teeth and gums and remained in constant pain for many months afterwards. The victim, a machine operator who was off work for six months, has been left with both disability and disfigurement and needed three operations “to try to deal with that which you did in that very savage, almost animal-like way,” said the judge. Eccles, 33, of Avon Road, Norley, had pleaded guilty to inflicting GBH with intent, two assaults and affray. Liverpool Crown Court heard the incident outside the Boulevard in the early hours of March 13 began after a woman, Rebecca Green, brazenly took a piece of pizza from a stranger and when he objected she threw the box on the floor and stamped on it. “This was the beginning of utter mayhem triggered by her attitude and assisted by Damien Eccles,” said Trevor Parry-Jones, prosecuting. Witnesses heard her shouting “kill him, kill him” and the lip biting incident began, added Mr Parry-Jones. Mr Parry-Jones said that in an impact statement the victim spoke of trouble holding food or drink in his mouth and has trouble opening it properly and does not like eating. He is also a musician and now unable to whistle accompaniment to his guitar playing, he added. The court heard Eccles also punched a woman in the face, breaking her nose after she went to help another woman whom he had kicked three or four times who suffered concussion. He also punched the man whose pizza Green had stolen. Green, of no fixed address, admitted affray and was sentenced last week to 18 months’ imprisonment suspended for two years, ordered to carry out 80 hours’ unpaid work and 60 days’ rehabilitation activity.